Approximately 1.6 million homes are burglarized annually based on the most recent FBI national crime statistics. Purchasing a home security system can be an investment in protecting the safety of your family and property. With the advent of wireless technology, there are many choices to consider fitting your needs and budget. ADT has been in the home security business since 1890, which makes them the oldest security company compared to its competition. They also have the largest subscriber base with numbers in the millions and the most monitoring centers across the US. Consumer Affairs' reviewers give ADT 4-1/2 out of 5 stars from verified users. It also was one of the top ten best home security systems based on A Secure Life consumer reviews. ADT has an A+ rating from the Better Business Bureau, as well. Because it's been around so long, one of the benefits of purchasing an ADT system is its instant recognizability by would-be burglars who spy their blue and white signs on your lawn, doors, and windows. That visual element alone can make it a good deterrent. You can sign up for home automation services like shutting off your lights remotely and smoke and carbon monoxide detection. For additional fees, you can add security cameras with remote viewing and control with a mobile phone or tablet. In 2017, ADT announced a partnership with Amazon Alexa that will allow homeowners to integrate their Echo and Echo Dot devices for voice-controlled home automation. ADT offers a variety of pricing packages depending on your home set-up, and the company prepares price quotes for each individual customer's needs. Expect to pay between $99 to $199 for installation and activation. The monthly fee for 24/7 monitoring runs from $37 to $48 per month. You will be required to sign a 36-month contract, and cancellation fees may apply if you end this early. ADT can be purchased via their website, their toll-free number 800-817-2358, and from authorized dealers in your area. Homeowners and renters seeking a quality, fully featured home security system with 24/7 monitoring and guarantees for theft protection will find ADT is a strong option. Moni, formerly known as Monitronics, received JD Power & Associates' highest rating for customer service satisfaction with home security systems. They were also named Home Security Service Company of the Year five times by industry analyst Frost & Sullivan. Moni services over one million homes and has the most authorized independent dealers. Moni relies on wireless systems that work with 24/7 monitoring. If you purchase higher level packages, you can add features such as remote control of the system with your smartphone and receive texts on the system and alarm status straight to your phone. Their comprehensive package includes live video streaming through your mobile device with stored recordings and voice-activated control of your locks, lighting, garage door, and thermostat. Moni's service also integrates well with third party devices such as Amazon Echo, Nest, and Apple TV. While they specialize in wireless systems, you have the option of a hard-wired system, as well. The base monthly package is $39.99 per month, the mid-range package is $49.99, and their comprehensive package is $59.99. Discounts on the first year of service are often available online, and there are discounts for AARP members as well. Initial set up in your home includes free equipment and installation. Pricing also includes a new system at no cost if you move, which is an excellent feature if you know you will be relocating in the near future. You can purchase Moni via their toll free number on their website, 855-910-7980. Moni is a strong choice for homeowners who need flexible options with modern technology, highly rated customer service, and 24/7 monitoring. Vivint Smart Home received PC Magazine's highest rating and an Editors' Choice endorsement in 2017. Fast Company named it one of the 50 Most Innovative Companies of 2017. Like the other services on this list, Vivint includes 24/7 monitoring, remote home automation options, integration with devices like Amazon Echo, and video camera streaming and recording. What sets them apart is their variety of technology options. In addition to a camera on the outside of your home, you can set up a "Ping camera" that records inside, which is a great feature to have if you want to watch activity in your house, such as your children or pets. The doorbell camera is another feature that has two-way talk so you can see video of visitors, even at night, and talk to them without ever opening your door. The doorbell camera can also recognize people who regularly come by, such as your mailman and neighbors, and it turns off notifications so you aren't bothered by them. Even better, you can watch video from your doorbell camera when you're not at home through your mobile device and have a two-way conversation with visitors. Packages with Vivint start at $39.99 per month, and all packages include their 24/7 monitoring, control panel, mobile app, and door and window sensors. You can add features, such as the additional cameras, smart locks, and home automation, for additional fees to your monthly package, and pricing depends on your total options. You do need to pay for the equipment, which comes at $549 for the base system although you can take part in their FlexPay system to spread out the payments over time. FlexPay does require signing a service agreement, however. You can also save money by monitoring the system yourself without their 24/7 service, but the downside to this is you do not have access to the mobile app or their customer support. Contact Vivint at their website and toll-free number, 844-220-1765, to sign up for the service and purchase equipment. Overall, Vivint is a great option for homeowners who want to merge home safety with the latest technological innovations, and who would like the extra video options for inside and front door viewing. Adobe Starter Kit is a terrific option for the DIY homeowner who doesn't need monitoring services. CNET reviewed the system in 2017 and gave it an 8.3 out of 10 rating, calling it "one of the most appealing DIY security systems available today" with "solid performance and smart integrations." The system is completely wireless, and you don't even need to be handy to set it up. Mount sensors with adhesives you can remove and move, making this a good choice for both owners and renters and people looking to relocate someday. The system works wirelessly but has cellular and battery backups to ensure continued service. The smart app will let you know if your alarm was triggered and send photos to your phone and even indicate where movement was detected by the sensors. You will never have to worry about false alarms with this valuable data. In terms of pricing, there are no long-term contracts or monthly fees. You do have the option to add professional monitoring if you want the added level of security. There are three plans to choose from, and you can upgrade or downgrade at any time with no penalties. The basic plan is free, aside from buying the equipment, which retails for about $320. If you want add professional monitoring, you can do so "on demand" without signing a contract. Pricing is $8 per day for three days and $15 for seven days. Email support and three days of media storage for recordings is included. Their mid-range plan is $10 per month or $96 per year and includes the backup connection and 14 days of media storage and phone support. Adding professional monitoring is the same cost as in the basic plan. Their highest plan is $30 per month or $240 per year and includes 24/7 monitoring, 90 days of media storage, and premium phone support. You can purchase the system through many retailers, such as Amazon. It does not require purchase through Adobe. Adobe Starter Kit is a wise choice for homeowners who don't necessarily need a monitoring service, or do not require it on a long term basis. The flexibility in plans allows you to use what you need depending on your circumstances. Other than the price of the equipment, it's strong on using modern technology without breaking your budget and makes a sound investment for renters, frequent movers, and home owners. Frontpoint is another highly rated wireless system you can install yourself. Consumer review site Reviews.com rates Frontpoint highest for reputation and professional monitoring. Frontpoint's own most recent customer survey notes 96 percent of their current customers would recommend the service to others. Safewise, a home security resource, rates Frontpoint as their number one choice for a security system. In addition, consumer site Home Alarm Report rated Frontpoint their Best Home Security System for 2017. All of Frontpoint's packages have 24/7 professional monitoring. You can pay extra for live video streaming, home automation, and other services. Like Adobe, you can set up your smartphone or tablet to receive notices of when the sensors are triggered, and these include short video clips. The system also integrates well with Amazon Alexa and Google Home. All of their plans include 24/7 monitoring, and the higher level plans include additional home automation services, "crash and smash protection," email and text alerts, and live video streaming. You can also choose to have smoke, carbon monoxide, and water and flood monitoring installed. Equipment fees are paid up front and can be as low as $99 and as high as $450. The lowest monthly plan is $35, and the highest is $49. To sign up for Frontpoint, contact them at the toll-free number, 855-264-1358, or use the website to receive a custom quote. Frontpoint is one of the best choices for people who want to do their own installation, own their own equipment they can move from home to home, and who enjoy the benefits of a wireless system with many remote capabilities. There are many options available that fit every type of homeowner and renters' needs. Make sure you consider your own specific needs and your ability to install a system on your own. The availability of customer support via phone, email, and/or in-person technicians is also a key feature. Most of all, research the reputation of the service, which is critical. 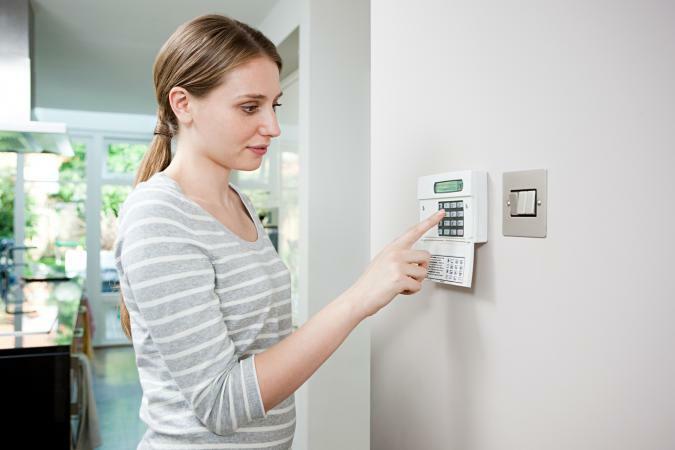 The FTC warns about the prevalence of scams in the home security market, and systems like the five above are sure to satisfy your need for a quality, professional system to protect your family and property.